Few films have blended dark comedy and violent crime as brilliantly as 2008's "In Bruges," so news that its star and writer-director is more than welcome. Throw in a great supporting cast, and we're all-in. Colin Farrell, Sam Rockwell, Mickey Rourke and Christopher Walken are all on board to star in Martin McDonagh's "Seven Psychopaths," reported Variety. Farrell will star as a screenwriter struggling with his script for "Seven Psychopaths," who inexplicably gets sucked into his friends' (Rockwell and Walken) schemes. But things get ugly when a dog belonging to a gangster (Rourke) goes missing. McDonagh has worked with Farrell on "In Bruges," and more recently Rockwell and Walken starred opposite each other on Broadway in McDonagh's so-so play "A Behanding in Spokane." One can imagine that Rourke's part was written for him after McDonagh saw the actor going everywhere with his pocket Chihuahua, Loki, a few years ago. 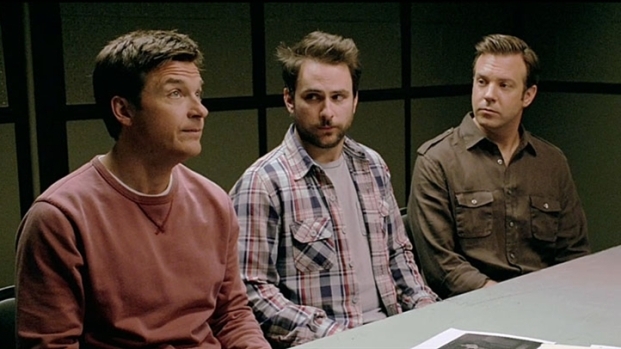 In case you missed it, Farrell is hilarious in the new trailer for "Horrible Bosses," due July 8, which stars Jason Bateman, Charlie Day and Jason Sudekis as three freinds who consipre to kill their bosses. And then Farrell can be seen Aug. 19 in the remake of "Fright Night."